Showcasing Dog-Friendly Places + Events in Bellingham, Washington! 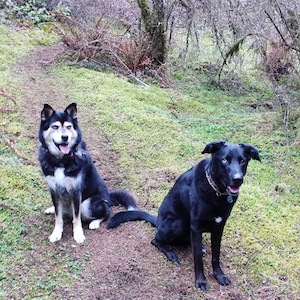 Discover restaurants, parks, trails, beaches, stores, and so much more that allow well-behaved dogs along with their well-behaved people in beautiful Bellingham, WA. Check out @BellinghamBARK on Instagram and Twitter to see spotlighted locations and events, and share your own adventures with the community by tagging #BellinghamBARK in your posts! Browse our listings of local dog-friendly locations and upcoming events. Have a recommendation you're not seeing on the site? Please get in touch with us via the Speak! contact form below. The Latest News from Bellingham BARK! * We are THRILLED to announce that our first Pups & Pints // Spring 2016 fundraiser was a wonderful success! Hosted on Saturday, May 21st along with Yelp Bellingham at Schweinhaus Biergarten, we were able to raise funds and pet food for the Whatcom Humane Society. Many thanks to all of our guests, their well-behaved pooches, and our terrific sponsors! Visit our Facebook page for more information and stay tuned for pictures of this pawstastic event! * Interested in being a SPONSOR of Bellingham BARK!? We are hoping to work out a variety of advertising opportunities with local pet-related businesses and invite you to contact us at bellinghambark@gmail.com to discuss! Reach the perfect niche audience for your retail establishment, brand, or restaurant, with very reasonable rates and exclusivity opportunities. This sounds obvious but is so very important it bears repeating. Even on what seems like a mild 70 degree day, the inside of your vehicle can reach temperatures of over 90 degrees in a matter of minutes. Having the windows down can help; however, you are opening yourself to a world of liabilities and insurance nightmares if your dog is able to stick his/her head out of the window. Plus, living in such a dog-friendly area means there are armies of folks who will be more than happy to bust out your windows or call the police to save your furbaby from sitting in the oven your car becomes. 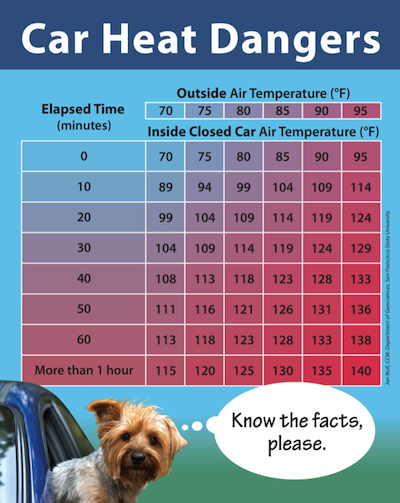 Do everyone a favor and just leave your pooch at home while you run your errands! The hottest times of the day are typically from 1-4pm, during which time roads and sidewalks and rocky beaches can turn into griddles. The sensitive pads of your dog's paws can easily be burnt when temperatures are over 80 degrees and the sun has been baking the streets for hours. If you're not able to stay in the shade it's best to take your strolls with pup in the mornings or once the sun is no longer directly beaming on the roads, typically after 6pm or later. DO NOT assume your dog knows how to properly swim! Yes, pups are naturally good swimmers, but that is no guarantee your dog will get the hang of it at first...practice practice practice in shallow water with your dog many times before taking him to deeper waters, and NEVER leave him unattended. When boating it is highly recommended that you put pooch in a lifejacket: even a skilled doggie swimmer can panic in deep, open water! And never let your dog go in water that you yourself are not willing and able to get into should you need to help him in an emergency. Also, keep an eye on your pup that he DOES NOT drink water from the sources in which you are playing. 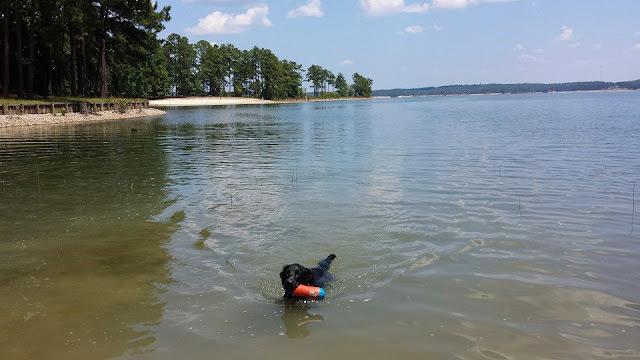 Saltwater and parasites and sewage in lakes and creeks can be extremely hazardous to his health! Even in fairly mild heat and with little exertion your dog is susceptible to heatstroke. Be on the lookout for symptoms: heavy panting and/or drooling, unusual lethargy, vomiting, and fever (warm, dry nose and hot ears). Contact your vet immediately if you think your dog might be suffering, try to give him fluids and get him to a cool area while you speak to his provider. To avoid this potentially life-threatening condition keep dogs inside as much as possible, particularly during the hottest times of day, keep exercise times short and to cooler parts of the day like mornings and evenings. For even more tips and ideas to help keep your furbabies cool, we recommend checking out the Summer Pet Safety section of PetFinder.com! BARK Back: Which is Your Favorite Dog-Friendly Park? Copyright 2016 Bellingham BARK!. Simple theme. Theme images by Jason Morrow. Powered by Blogger.